If you want a look at the kind of apps that are transforming how enterprises work, don’t just look at chatbots, artificial intelligence or IoT. Instead, apps that may give companies the biggest benefits of all are inspection apps and punch list apps that help field workers accomplish important tasks, such as inspecting utility poles, managing construction projects, helping with oil exploration and much more. Accomplishing those down-to-earth tasks are in large part leading the way towards the digital transformation of enterprises. A great example of this is the way in which energy company PG&E is using an inspection app to replace old error-prone paper processes. The app has been so successful that InformationWeek awarded it an IT Excellence Award at Interop IT recently. According to an InformationWeek article, PG&E’s Mobile Asset Inspection app is saving the utility time and money, reducing errors, improving data quality, and leading the way to the company’s digital transformation. In addition, they filled out forms about the poles’ status and their inspections of them on paper, which then had to be input into PG&E’s system. All that has changed with PG&E’s Mobile Asset Inspection app, which is connected to SAP, a graphical information system (GIS), and Documentum enterprise applications. Now, inspectors no longer drive to the office to get paper maps and forms. Instead, the information is sent directly to the inspection app on their iPad Pros. Google Maps show best routes to the poles, and daily inspections are grouped more efficiently. Inspectors fill out electronic forms, which flow directly into SAP, reducing errors, improving data quality, and saving time and morey. Beyond improving efficiency, the app provides data that is being used by PG&E’s advanced analytics team to predict which poles are likely to fail soon. Those poles are then replaced before they fail. 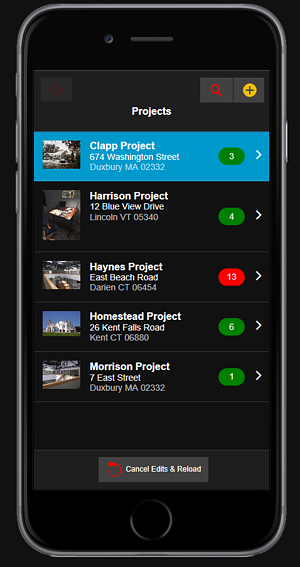 If you’re looking to build your own inspection and punch list apps, you’ll find Alpha Anywhere and its low-code approach a great solution. It’s ideal for building mobile-optimized forms that are at the core of the apps. 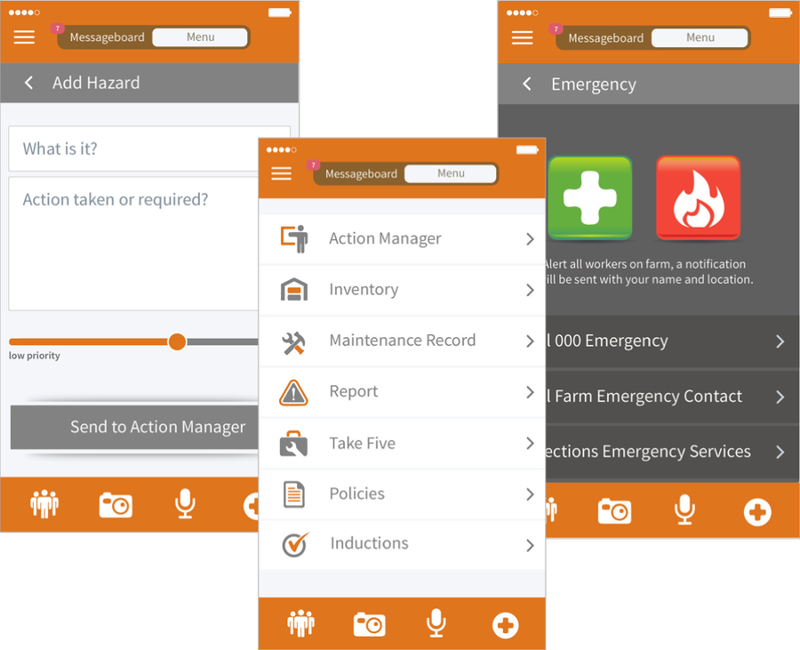 To help you get started, Alpha Software has built a free Inspections Solutions app, a sample app that can be turned into inspection apps for field workers in virtually any industry. Click here for full details about it, its capabilities and a video of the Inspections Solutions application in use. Current Alpha Anywhere customers can download the source code for this inspection app from Alpha Software’s Github account and modify it for use in their organization’s inspection process. 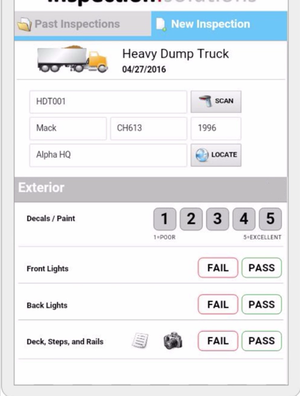 In addition, Alpha Software has built the Alpha Construction Punch List App, a sophisticated, pre-built construction punch list app optimized for mobile phones, which most construction workers already carry in their pocket every day. 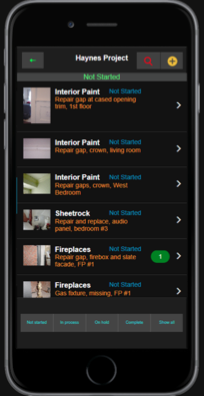 There's also a building inspection app you can view.